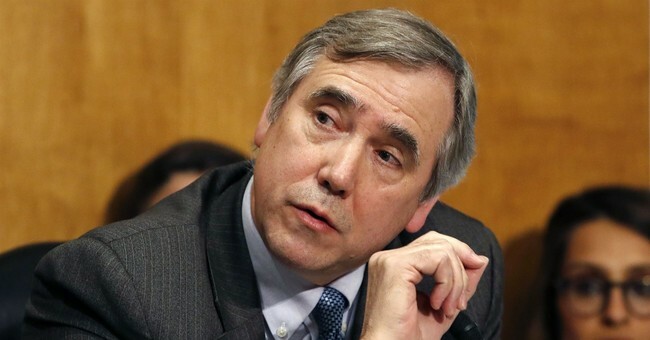 Sen. Jeff Merkley (D-OR) suggested in a tweet Wednesday that President Trump was worse than North Korean dictator Kim Jong Un as the two met in Hanoi, Vietnam. A president and a dictator met in Hanoi. One has demanded unquestioned loyalty, bragged about his nuclear arsenal, attacked the press, and employed family members as his advisors. The other is Kim Jong-un. "I've been saying very much from the beginning that speed is not that important to me," he told reporters. "Speed is not important to me. What is important is that we do the right deal." Trump also reportedly praised Kim for halting missile launches following their initial meeting in Singapore last year. "We don’t want the testing. And we’ve developed something very special with respect to that," he said.